Where your success is Paramount! 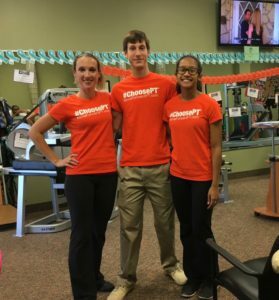 With an exceptional reputation among local physicians and outstanding patient satisfaction rates, Paramount Physical Therapy has emerged as a leading provider of outpatient physical therapy services in Southwestern Nassau County. Established in 2013, Paramount Physical Therapy is dedicated to providing its patients with the highest quality of care in a warm and welcoming environment. The size of our facility allows for more personalized care and superior outcomes. During each appointment you will be working directly with the practice owner, a Doctor of Physical Therapy who will continually monitor your progress and adjust your treatment plan accordingly. Whether you require outpatient physical therapy for an orthopedic or sports related injury, pre/post-surgical rehabilitation, or for a neurological diagnosis, Paramount Physical Therapy is equipped to provide you with the expert care you need to achieve your goals. Stay updated on our events and special promotions by joining our email list.